Since Google bought Motorola, we have seen only one smartphone, Moto X. 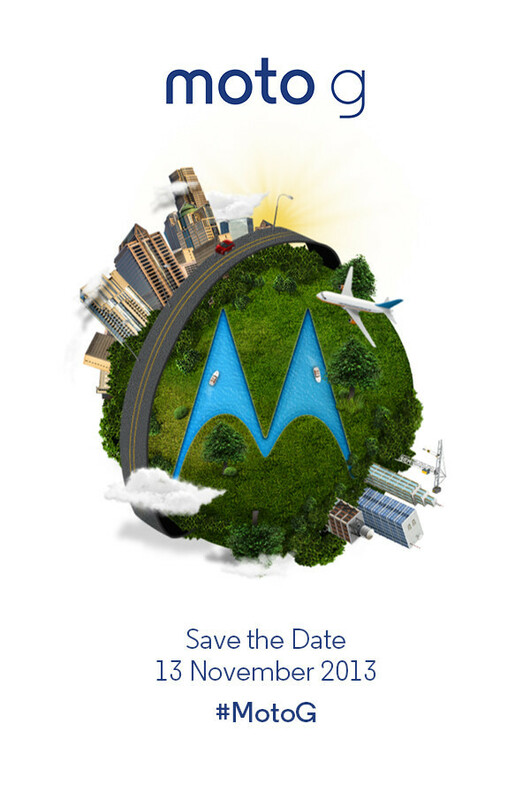 That is going to change as Motorola has sent out invites to tech media for a November 13 Event. The phone to be unveiling will be Moto G.
The invites were sent out by Motorola to announce its latest mid-range phone, Moto G.
The invite is plain simple with no weird hints for encrypted messages of upcoming smartphone. It tells you that the event is through hashtag and the date of the event. The phone is going to be a midrange device with supposedly Android 4.4 KitKat. Uptil now leaked specs show that the Moto G will come with a 4.7" 720p display and powered by a 1.5 GHz quad-core Snapdragon processor and a 5 MP camera capable of HD video only.